The point of IOTA is to pay for the nano-transaction between devices that are inter-connected. IOTA is a response to the internet of things and the large number of devices that linked. The success of this concept is going to be in the companies that choose to use the platform. Therefore, when car giants VW linked with IOTA – along with other big names – there is a feeling that things bode well for the cryptocurrency. The IOTA moves away from blockchain technology to something called the Tangle. This makes it possible for the micro-transactions but also makes the tech a bit of a mystery and therefore difficult to know what will happen with the value. This means that the IOTA calculator is crucial to understanding the value of your investment. The IOTA calculator is the most useful tool for finding the real-time price of your IOTA or for discovering how many you can buy for your dollars. It works by drawing in data from the exchanges – and applying a simple formula to reveal the crucial data you need to make a decision about investing. Most exchanges are unable to convert directly from fiat currency to IOTA. You will be expected to purchase one of the major cryptocurrencies and then convert these into IOTA. This means that the IOTA calculator may offer a certain price, but this may not include the transaction fees charged. 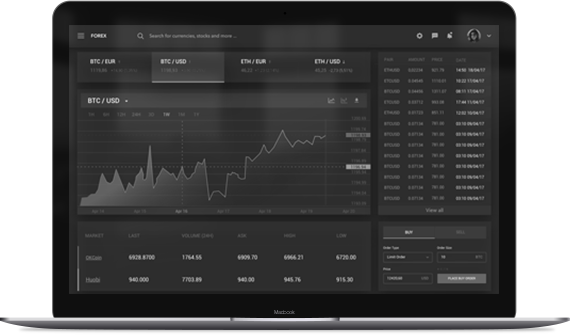 The IOTA calculator is a useful indicator of the price at any one moment and in helping the user to track the trends of price. As the price of IOTA can go up and down, it is important to track its progress using the IOTA calculator. An IOTA converter is a place where you would go to essentially buy and sell the digital currency. It is likely that you will go to an exchange and purchase IOTAs. Yet, this is where it gets a bit complicated. At the point of purchase, you are only given an IOU. You only get hold of the IOTAs – even digitally – once you transfer them to your IOTA wallet. If you don’t transfer them it is possible to lose the IOTAs. There is a specific wallet that you need download from the IOTA foundation. If you set up your wallet correctly, transfer your tokens, all in the correct way – then you have successfully used an IOTA converter. This may sound hugely complicated – and in some ways it is. However, realistically, you need a digital wallet and to transfer your purchase of all cryptocurrencies. Still it is worth researching the process of purchasing your IOTA and taking possession of your coins. The point of IOTA is not really to buy and hoard and hope to sell at a higher price. The IOTA has a real-world use with your inter-connected devices in the home and the car. The point of using an IOTA converter is to make micropayments. It helps you pay for the products and services they offer. The more devices that use it – the more demand there will be for IOTA. The mostly likely IOTA converter is an online exchange platform. Even if you are using an API it is likely connected to one of these sites. When buying this currency, it will feel a little like you are buying stocks and bonds but there is no pay out unless you sell the currency at a higher price than you buy. When you hold IOTA in your digital wallet you are essentially storing money as a digital asset. There are a number of concerns when choosing the exchange that you will use to buy your IOTA. Your IOTA converter will need to be secure, reliable and trustworthy. You are trusting the site with a large amount of your money – therefore you want to be sure it is safe from hackers and criminals in general. People have experienced security breaches, with wallets cleared of funds. So, what issues should you research? A site that opens itself up to financial scrutiny is going to be more trustworthy. Most US sites are scrutinised by state-level organisations. This should give users confidence in the scruples of the website. To ensure security most sites will store the majority of assets in cold storage. This is the means of keeping the currency offline – so that it is not accessible to hackers or criminals. This can be up to as much as 95% of currency being offline – which may in turn mean that there is low liquidity. However, with millions of coins in circulation this is unlikely going to be an issue. Therefore, most sites are going to reliably fulfil the transactions requested. An IOTA converter will allow you to make a purchase in just a few clicks. Be aware that these IOTA converters are connected to the exchanges, so all of the above applies here too. It is important to use your IOTA calculator before using your IOTA converter. This is the only way to be certain that it is the appropriate time to buy or sell your IOTA. Even though the reason for purchasing IOTA is for real-world application, there is some point in buying and holding the coins as speculation. However, you will be hoping in this case that the price will rise – which is why it is important to keep an eye on your IOTA calculator. The question about when to convert IOTA is likely to be in the confidence in the platform to service the many devices that are part of the internet of things. There needs to be a critical mass of usage before the price will go up significantly. Therefore, a lot of judgement will be based on what is happening in the news – particularly the business news of the IOTA foundation.